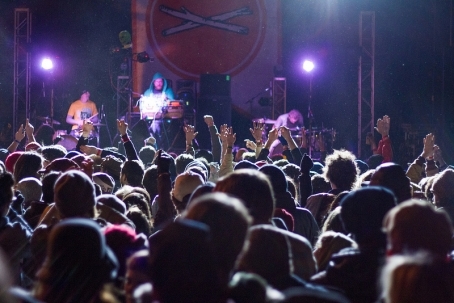 If you're one of the lucky ones who is making it out to Treefort Music Fest in Boise, Idaho this weekend, you're probably losing your mind right now. And with good reason, as your life is likely to change forever. To make things easier for you, we've dug through this year's lineup to highlight the overwhelming amount of Portland bands whose performances this weekend demand your presence. Persuasion is done best quickly and carefully. Pay close attention. Two-piece Nurses are constantly reinventing your definition of experimental pop. The Shivas toss your body and mind back into a time where bopping superseded twerking. The woodsy and folksy Great Wilderness are fronted by subtly demanding vocals. And And And is playful but not too playful but really fun to let loose to while actually still being serious. AU is destined to cover your body with goosebumps. Ernest Hip Hatchet coats simplistic guitar melodies with authentic lyricism. Animal Eyes never let their energy down. Sallie Ford is embarking on her own adventure, so it wouldn't be in your best interests to miss the beginning of something beautiful. Sama Dams are the noteworthy avant garde three-piece in the scene. Tiburones echo all that make you actually feel like a human being, pulling at your heart strings and beyond. Genders could easily fall into your definition as a comforting band, while at the same time pushing you to get yourself into unlikely situations. Like A Villain AKA Holland Andrews will leave you never feeling the same. Hustle and Drone widen your eyes and move your body in ways you'd probably just do alone in the privacy of an empty space. Sun Angle are famously furious, wild and will make you laugh whether you're into that sort of thing or not. Summer Cannibals match that amount of energy, bringing forth their youthful disposition. Eternal Tapestry pull from Eastern influences and force vivid imagery with or without actual projections. Wooden Indian Burial Ground aggressively shakes your world close to oblivion. Aan will bring you back and Magic Mouth will allow you to gently waltz back into the real world. Along with She Shreds Magazine and Kill Rock Stars, Portland's Party Boyz have curated an event at Mississippi Studios to celebrate the guitar hoarding, keyboard slinging, howling vocals of Portland's fairer gender. Wait, fairer? Whatever, The Party Boyz turn gender on it's head. The pod-casting duo are actually two best girl-friends, Rachel Milbauer and Elizabeth Elder, who share laughs with all the local bands for an audience to hear. They are also putting together shows with a cause; part of ticket sales from Ladiez Night will assist musical non-profit Rock'n'Roll Camp For Girls. 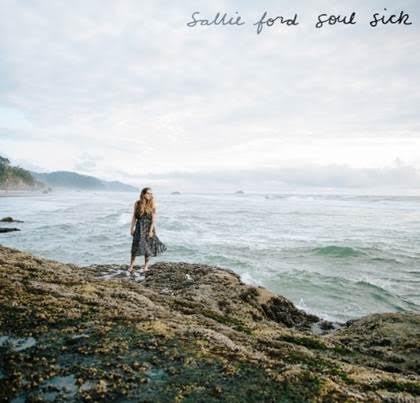 Speaking of Rock'n'Roll, this show is a fresh debut for Sallie Ford, who moved on from the boys at The Sound Outside to start a new all-girl band solely under her moniker. The local ladies that have joined her include members of Siren & The Sea, Viva Voce, and Point Juncture, WA. There will new songs to look forward to, and knowing Sallie, it's bound to get a little rowdy.